After my brother made lasagna, I spotted a whole tub of ricotta left over in my fridge. Yeay!!! Finally I could try out Nigella Lawson's Ricotta Hotcakes! I've been dying to try out this recipe. I've pretty much tried out every pancake-recipe known to man. Last year, around October and November, I ate pancakes every single day for breakfast! No really, I did. After eating pancakes for 60 days, you've had enough pancakes for one year. But my pancake-cravings are starting to come back again (must be Halloween), so I made some Ricotta Hotcakes. 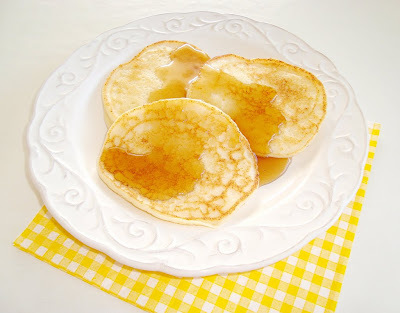 Well I wish I had this recipe last year, because it makes the most delicious pancakes ever! Very light and fluffy, moist and tasteful. I have to buy some more ricotta. Rating: 5 out of 5. 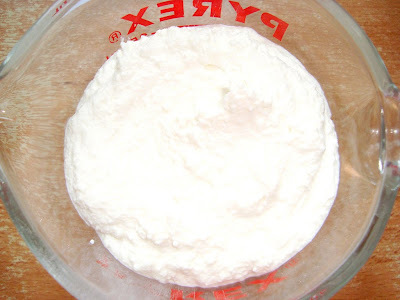 - Put the ricotta, milk and egg yolks into a bowl and mix well to combine. Stir in the flour, baking powder and salt and gently whisk a smooth batter. 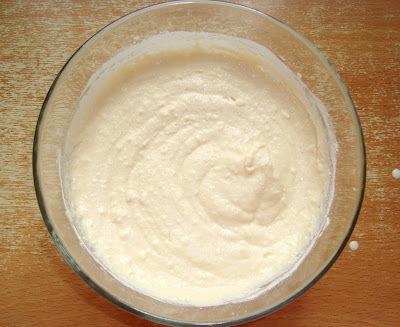 - Beat the egg whites until they become foamy and then fold them into the ricotta mixture. 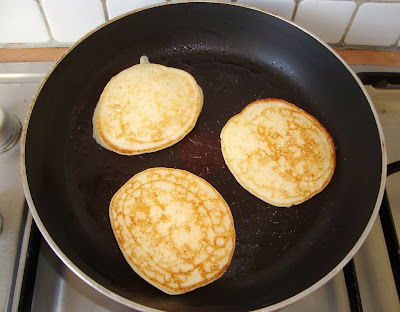 - Heat the oil in a large frying pan and drop in headed dessertspoons of batter. Cook the pancakes for about 1 minute until golden and then flip them over and cook for another minute. The pancake batter. Very light because of the egg whites. 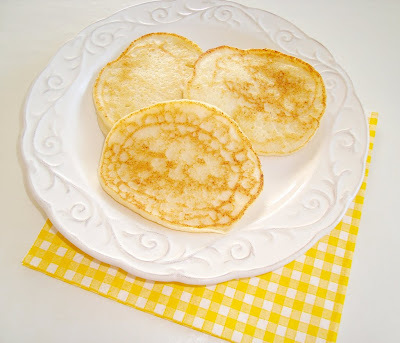 Ricotta Hotcakes aka the best pancakes ever!! Click here to see Nigella whipping up some of these delicious pancakes. Yeyy! This was the first Nigella recipe I ever made when I got her book Forever Summer yeeaaars ago! That's pretty much where my Nigella obsession started! Aren't these pancakes gorgeous? Yours look so lovely, I really want this for breakfast now! Oh I llove breakfast food. these hotcakes look really hot :) I love Nigella s recipe. WOW, those are some special hot cakes! I am so impressed that you made pancakes for 60 days, so so SO impressed, that takes effort and dedication! WOW! What a great recipe! thank you so much! I think I will give this one a try! Have a great Monday!